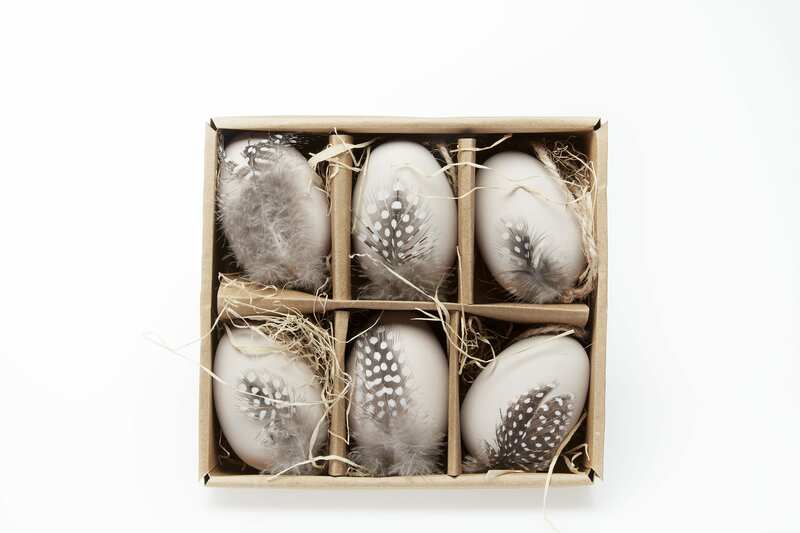 A box of six chicken eggs with a pretty speckled, real feather decoration, made from plastic to exactly replica a real egg. They come with a string loop to hang on an Easter tree or attach to a present. The box is made from cardboard with straw packaging so they have a lovely craft feel.